The baobab tree is iconic in Africa, where it is referred to as the “upside-down tree” because its branches resemble roots. Baobab fruit naturally sun dries on the branch, the pod then has seeds removed and the pulp is ground into a nutrient dense powder. 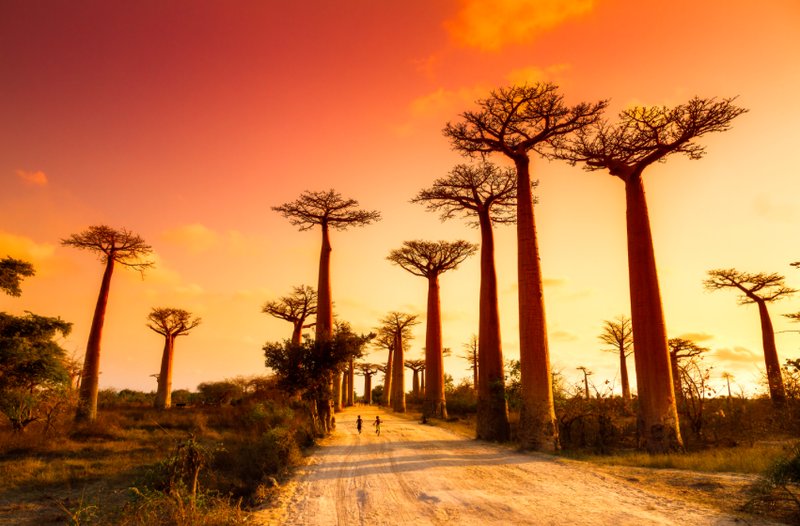 Baobab is especially valuable in Africa due to the low availability of foods rich in these nutrients native to the drylands. Perhaps this is why it is also known as ‘The Tree of Life’, Baobab really is a super food! Baobab powder is a rich source of vitamin C, a powerful antioxidant which has a key role in energy release, immune function and the formation of healthy skin and connective tissue (collagen). Baobab powder also contains potassium, calcium, good quality essential amino acids and prebiotic fibre. In traditional medicine it has been thought to reduce fever and have antimicrobial properties, some scientific studies appear to support this view, however they are limited in quality. It has a naturally zesty flavor and certainly boosts our super shakes!